or you simply love water – its fun! We have exceptional water based exercise experiences that are fun and effective. We have a dedicated space at Friends Health & Fitness in New Town. Whether you need something fun, fast and time effective workout or something more restorative within personal training or small group personal training our highly attentive approach and dedication to water based exercise will ensure you get the workout you need. Jo runs small group personal training sessions (maximum of 4) several times a week with people with like minded goals. 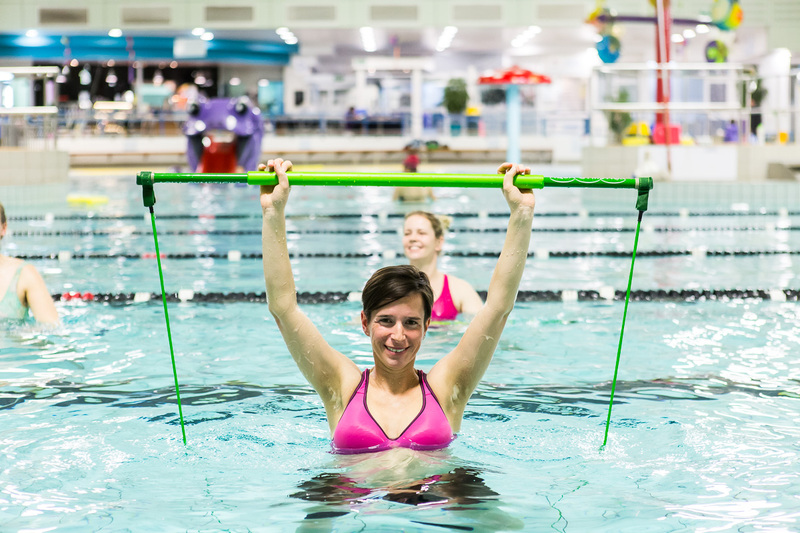 Every session is different and may make use of muscle strengthening aids like gymstick and aqua strength cuffs as well as a variety of buoyancy aides. 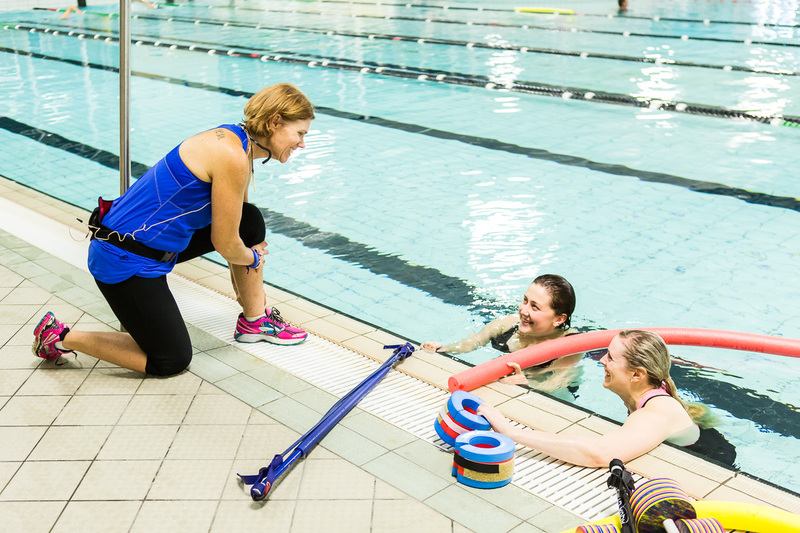 Low and no impact exercise sessions make water based personal training the place to be for those with long standing issues like arthritis. We can absolutely meet your health and fitness goals by personal training in water. By using the very best personal training equipment such as gymstick, aqua strength cuffs, buoyancy cuffs and dumbells and resistance barbells you’ll get a great workout in water. This can be meaningful and intense exercise or something more rehabilitative if that is what’s needed pre / post surgery.